Sold! 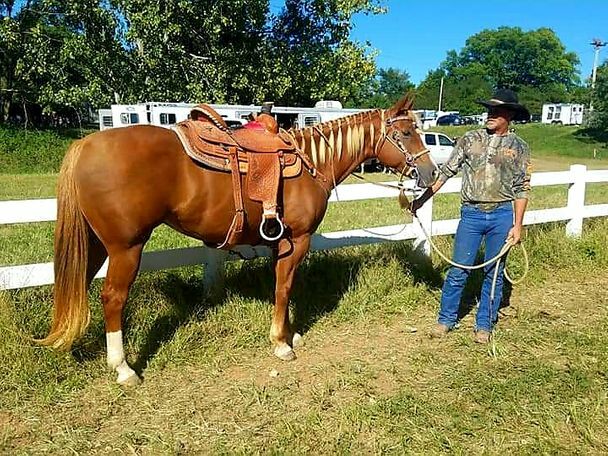 But contact us about our other horses for sale. 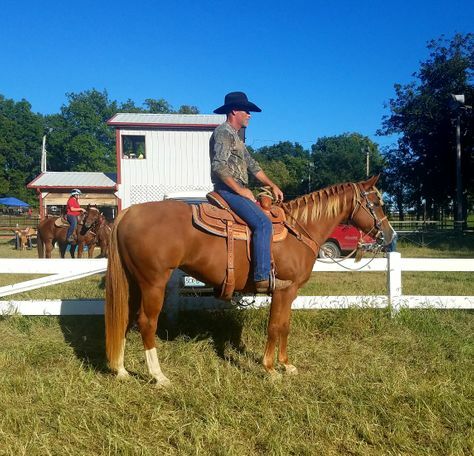 Skyline Glo is a 2006 AQHA mare, deep red sorrel with a flaxen mane and tail. She is right at 15 hands. Her bloodlines are ridiculously fantastic, performance breeding at it's best. 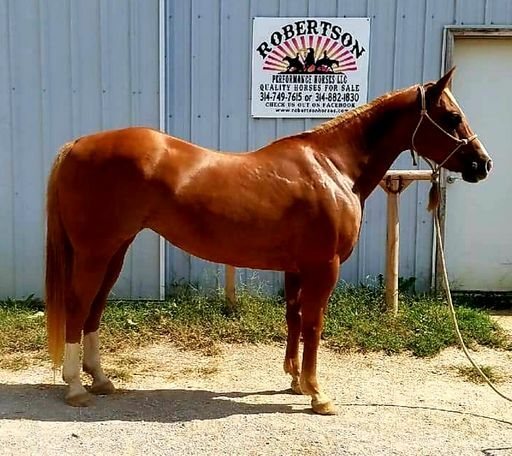 Own daughter of THREE DEE SKYLINE,a Multiple Superior and World Show Producer including the AQHA Reserve World Breakaway Horse and the Reserve World Champion Barrel Horse by MR SKYLINE PEPPY open Cutting Futurity Champion, with Lifetime Earnings of about a Quarter of a Million in the cutting pen! 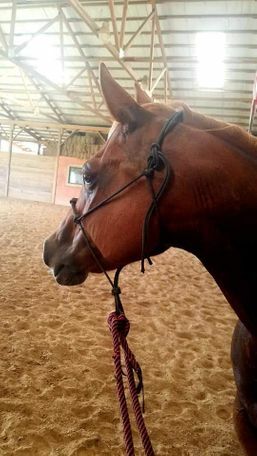 Out of a Dontcha Luv Quincy and Leo Goldseeker mare. 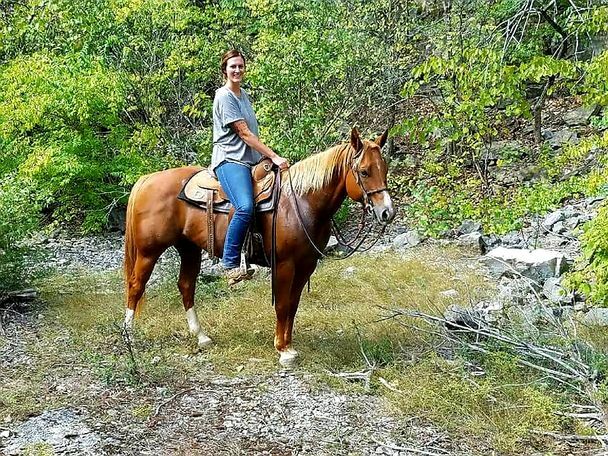 Sky is absolutely lovely on trails, fancy broke, she’d definitely be a competitor in the show ring. Would be best suited for a confident rider. 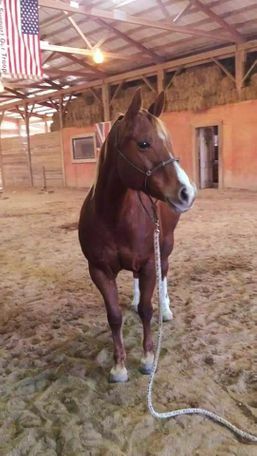 She is perfect for the vet and farrier. Bathes, clips, and loads perfectly. 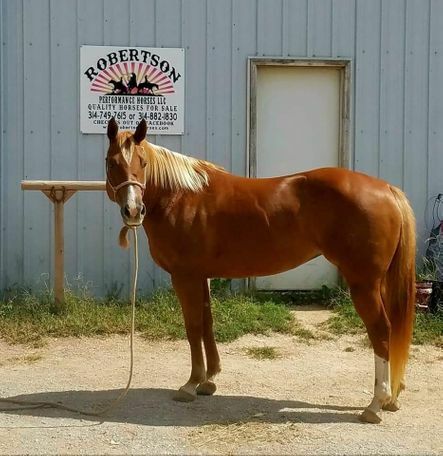 She stands at 15 h. 4500.00 Located at Robertson Performance Horses LLC in Winfield MO.